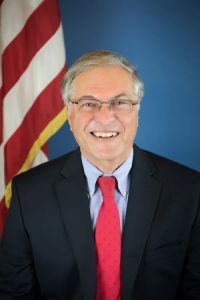 Terry Tornek was born and raised in New York City and moved to Pasadena from Massachusetts in 1982 to accept the position of Planning Director. He was hired because of his history of neighborhood improvement and historic preservation while serving as Planning Director of Springfield, Mass. He also served as a member of the Springfield City Council. Terry was Pasadena’s Planning Director for 3 years and helped to rewrite the Zoning Ordinance, the General Plan and establish the redevelopment plan for Old Pasadena. After leaving city government, Terry built a career in real estate as a developer and manager of residential & commercial properties all over Southern California. He remained active in Pasadena affairs through his 20 year service as a Board Member of Pasadena Neighborhood Housing Services, a non-profit organization devoted to affordable housing in Northwest Pasadena. In 2005 Sid Tyler appointed Terry to the Planning Commission. He also served as a member of the Design Commission. He was elected to represent District 7 on the City Council in April, 2009, was reelected in 2013 and was then elected as Mayor in April, 2015. The City has a Council-Manager form of government with seven City Council districts each electing a Councilmember to a four-year term. The Mayor is an at-large or Citywide elected position serving a four-year term. The City Council is responsible for setting policies, passing ordinances, adopting the budget, appointing committee members, and hiring the City Manager, City Attorney/City Prosecutor, and the City Clerk.